Hook'd Pier Bar and Grill is a Florida beach bar located in Panama City Beach. Discover this great Florida beach bar. 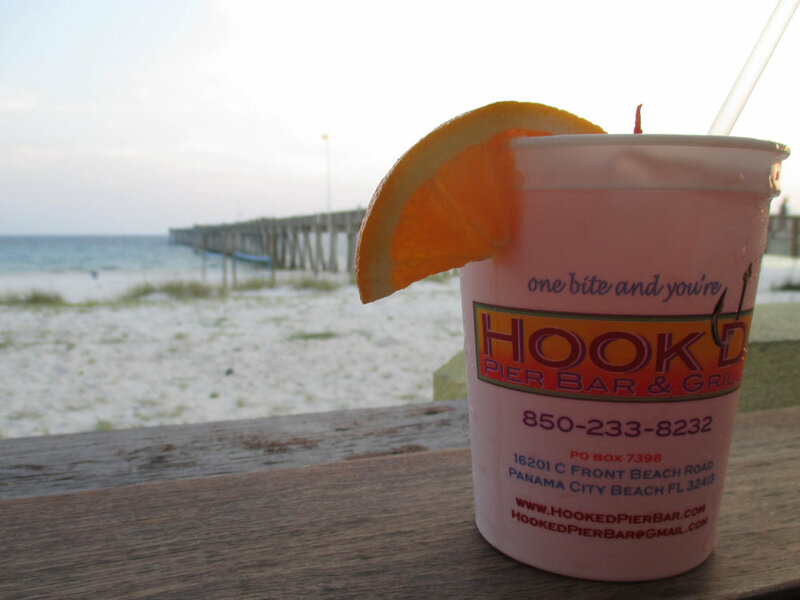 Hook'd has a bright and friendly appearance and is right on Panama City Beach. This different little Florida beach bar is located at the Pier and across the street from Pier Park. It is colorful and charming. Hook'd is a great place to visit and to relax away from the fray across the street at Pier Park. The food is good, too. When exploring Pier Park you can't miss Hook'd as it is right across the street and just a few feet from the Pier. Hook'd offers lunch and dinner. Take a nice stroll on the Pier and come back and enjoy lunch or dinner at Hook'd. On the weekends in season you might catch some live music at 6:30 pm. You can sit back and get a beautiful view of the Pier and the sunset. 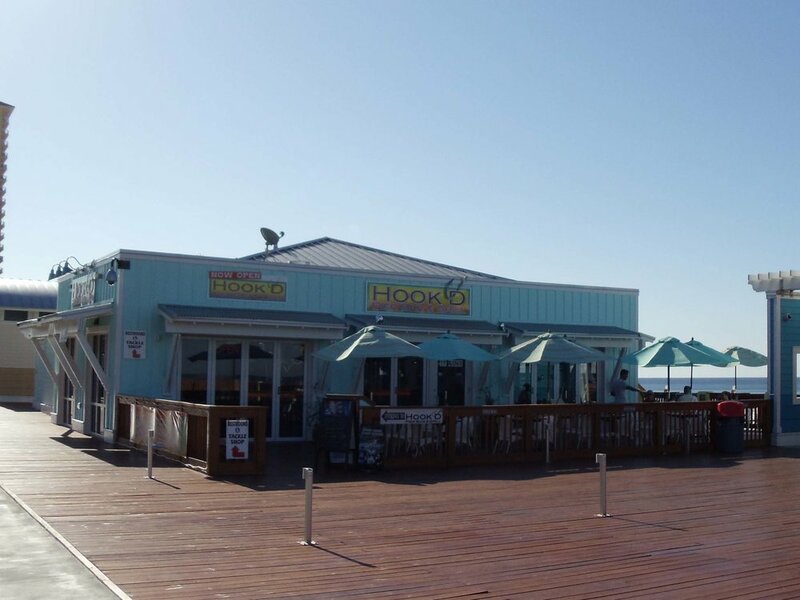 Hook'd has outdoor seating and wonderful views of the Gulf and the Pier. Grab a seat and a cocktail and enjoy the views and the food. This is a great find for Florida Beach Bar.